In which he presents a list of 40+ game development tutorials he feels are of interest( and so should you 😉 ). The list covers everything from coding and math to aesthetics and game design. If you haven’t already seen it or come across the mentioned sources, definitely check it out. 40+ Fantastic Game Development Tutorials From Across the Web | Gamedevtuts+. But, ultimately what the window should look like, to make it more interesting and much more interactive would be something like the following mock up ( currently the game window does not look like this, but this is the intended final result). Currently I’m figuring out the GUI, I’ve gotten the furthest using Tkinter, but I haven’t gotten to the part where I can see the interaction between tkinter’s mainloop() and pygame’s mainloop(). So I have been meaning to update this for a long time, but as my skills of procrastination are exceptional, I haven’t done it before now. 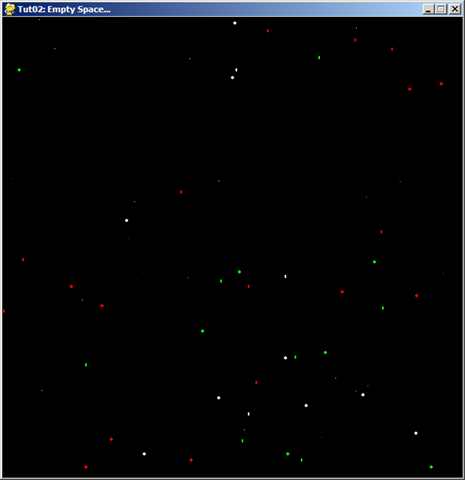 In the first tutorial, we created a simple window using Python and Pygame. 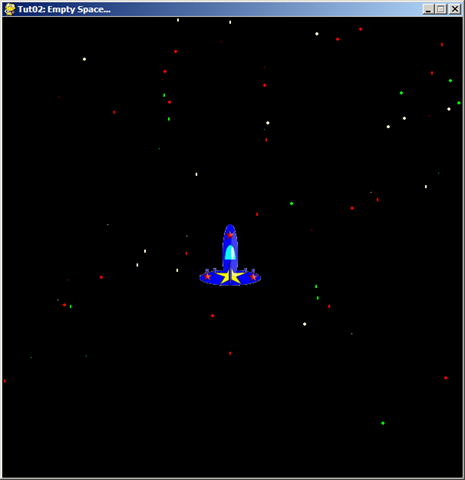 The next step, will be building on that example, we will create a star field background, then write the code to animate it. One important point about these tutorials is the assumption that anyone following along already has at least a basic knowledge of how Python code is structured. If that is not the case, then you should, at the very least, want to have the Python documentation(included in the Python install) at hand incase you wanted it for a reference. There are some very good resources available for Python, either through THE OFFICIAL PYTHON WEB-SITE or by completing a Google search on the Python version you have installed. If you have already coded the first tutorial you should do just fine with this one. If there are any comments about the tutorials, whether they are critical or complimentary, you’re welcome to post them. If there’s information that I have glossed over or skipped entirely, let me know, and I will add it in, with future edits of the tutorials. I typically use Editra v0.7.12 to write Python code, when including the psyco try/except block, Editra would occasionally crash. When I ran the starfield.py file in Python IDLE 2.6, it never crashed(but you need to have the pygame.quit() statement, so the app window does not crash). If you’re using a different IDE your mileage may vary, if in doubt, use IDLE as your benchmark(or use IDLE to run this example). 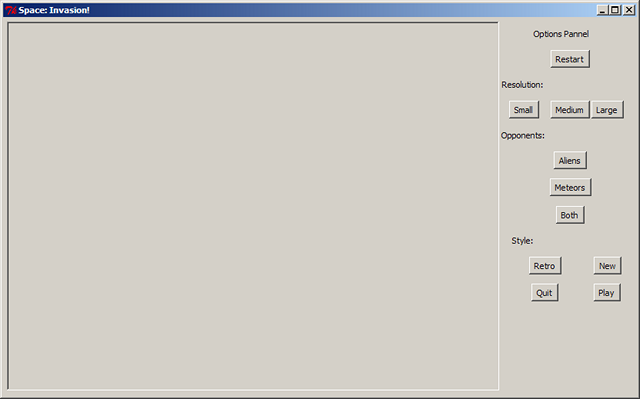 UPDATE: Psyco is no longer supported as of March 12, 2012. If you are already using it you can choose to include it, if you’re not using psyco then avoid the install unless your confident that you can make it work. Skip the source code in red, it is the psyco try/except block! Dave Lang, CEO of Iron Galaxy(Wreckateer), and Josh Tsui, President and co-founder of Robomodo (Tony Hawk’s Pro Skater HD) will be discussing their experiences and observations of creating downloadable products for the XBLA promotion called XBOX Live Summer of Arcade. This will be a paid event. Buy tickets before 9/17 at $10; all tickets afterward at $15. IGDA members receive an admission discount. Chicago’s Summer of Arcade – IGDAChicago (Chicago, IL) – Meetup. I was working on this while my nephew was visiting and he always gets a laugh out of watching me setting up animation keys in Blender. A concern that I have is when my nephew said that the model looks “familiar”. I have also just finished a 2D map of the town, Tinyville. It has the layout of the parks, farms and buildings that will be accessible during the game. So I’m in the process of creating scenery and buildings, while also trying to structure what types of mini-challenges and upgrades will be available at the farms and parks. First thing I need to do is apologize, about the video game poll. It was originally one of the first posts I did using WordPress and PollDaddy. I was under the assumption that the poll was going to by persistent on the sidebar of the blog, but when it wasn’t I tried to re-post and bring it into a current blog entry it garbled the content on the page. Again, I apologize. I hated those controllers!!!! 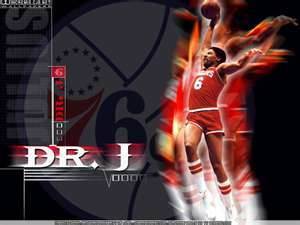 button mashing those for a basketball marathon was painful on the thumbs. The characters were basic block figures but it was fun to watch the skiers and soccer player get knocked down. I was curious to see how the results fare today, I remember back when I was about 9, with my friends we swapped 5.25 floppies with games on them. I was even shown how to double the storage on a box of floppies using a whole puncher. Real “state of the art” at the time. 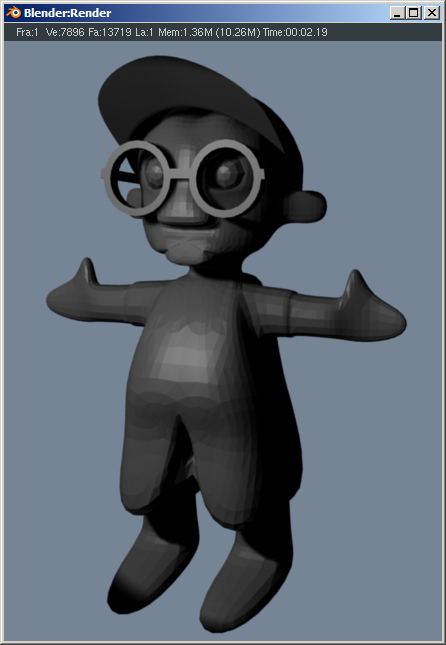 One of the main things on my mind about this game idea was how the model for Teddy never looked quite right. From the many(very many!) drawings I had tried for this character, the one where he looks slightly younger was always the one that I felt had the most potential. It also brought better continuity to the models of the other characters. 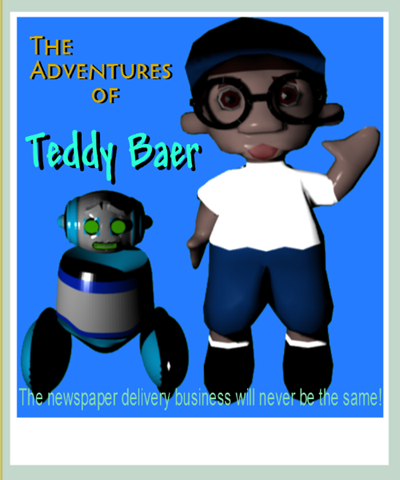 After re-creating the model over many iterations, my concern was that Teddy’s model wouldn’t have the features that the drawing had. I would resort to scrapping the existing model and trying to create a new one. But this current model looks like the most promising to date. Blender’s linking process helped speed things up considerably. 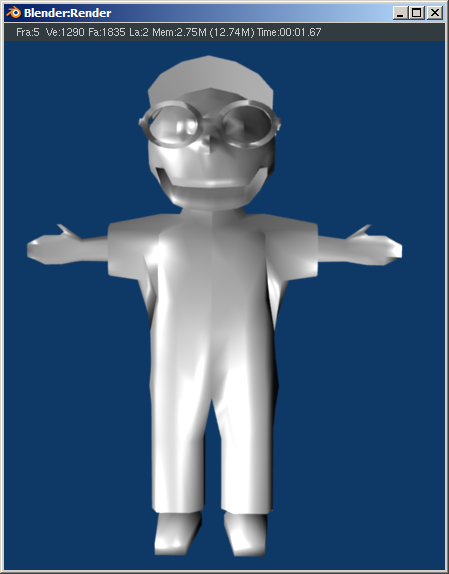 I was able to create a file with just Teddy’s accessories (glasses, cap, mailbag, scooter, etc.) 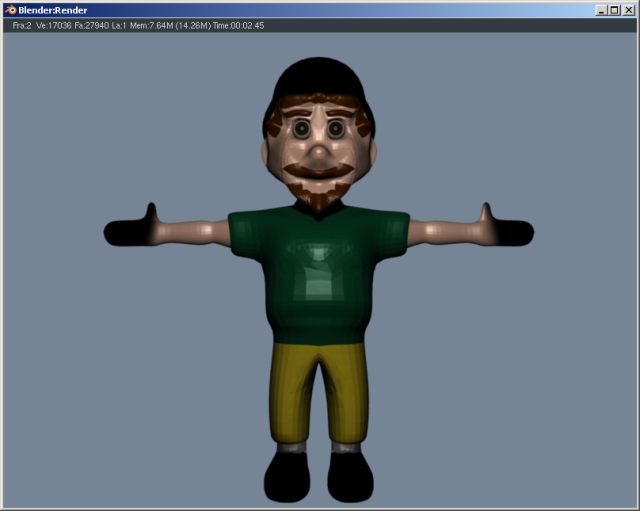 and then link each new character model to that file to use those objects to see if they worked well with the model. A comparison of the last two models gives a good sense of the direction taken so far . It has been a really long time since any update. I have tried to work out game engine details, pros and cons, compatibility and incompatibility, limitations and advantages. I really like Panda 3D’s flexibility between Python and C++, and the fact that with some crafty work I can get content from Blender into it in egg format. I have thought about using Blender’s GE for experimentation and a short demo. 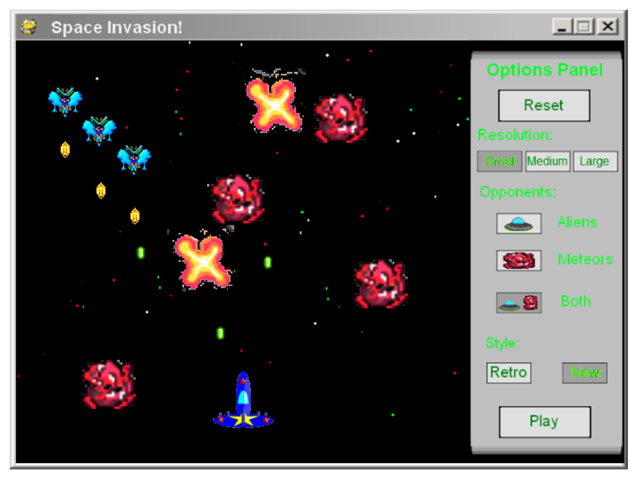 As for the character models, the dog and cats idea for now is getting replaced with “mutated” alien bugs. The angle I’m looking for is that if I can model 3 or 4 specific bugs and pay attention to body structure, then, I can do some creative combining for more variations. 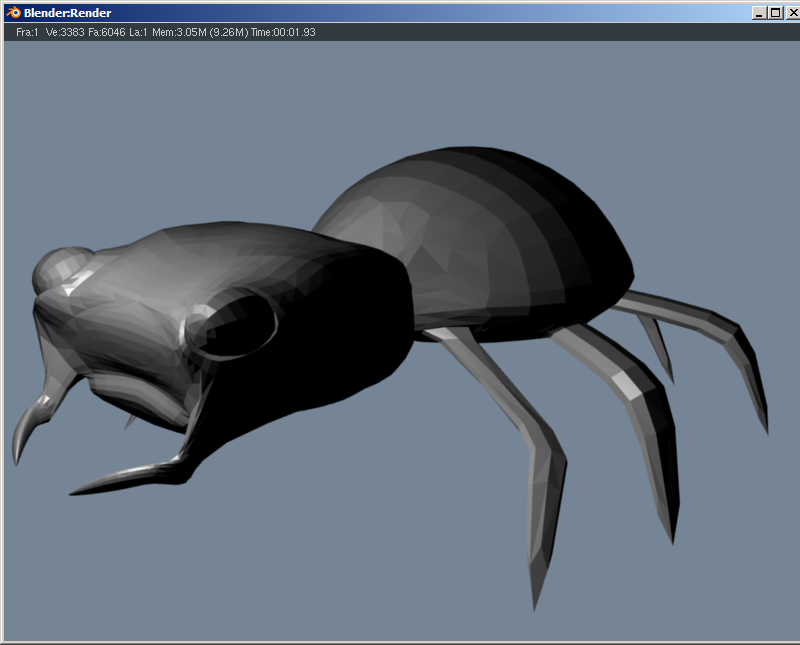 Here is a first draft of the spider I’m working on. definitely a WIP, I’m trying to correct the “turtle shell” !, it would be nice to stay under 5000 vertices, so I can run more baddies at once. Also have tried to work out an alien form, and keep the poly count low, so far its at about 11k vertices but I’m hoping to bring it down. I have to clean up the body a bit better, because in the profile the alien looks like an over-nuked chicken. At this point I’m posting only a front view (who wants a drum stick?). Hopefully I can get the skin or eyes to animate with a mild glow effect. 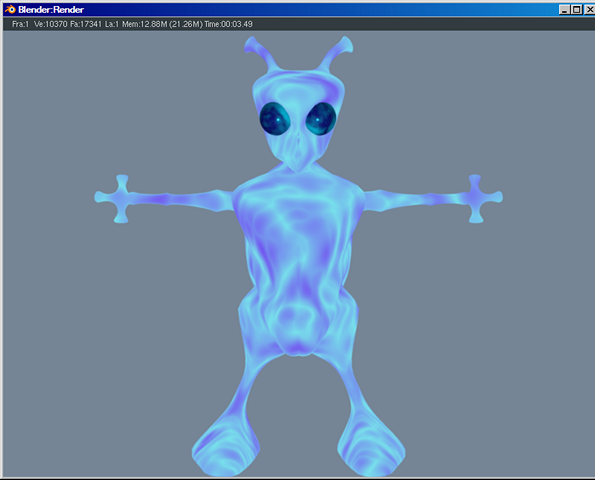 My first thought was to put a glow effect on the alien skin and animate it, but if that ends up being too much to handle, I’ll probably tone down the skin and brighten the eyes with a glow effect. Back to Blender! I hate UV-mapping!!! If anyone has any suggestions on it?